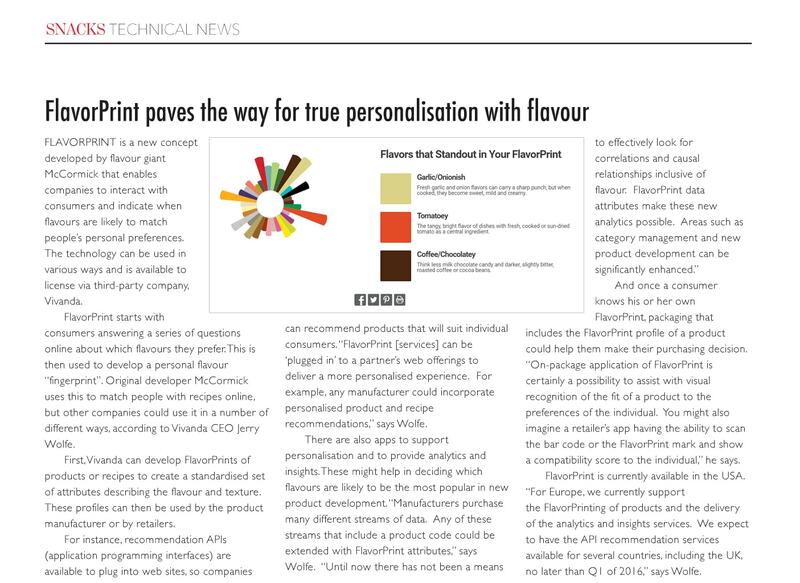 Snacks Magazine, the official journal of the European Snacks Association (ESA), has written an excellent article on FlavorPrint and our personalization of flavor. Highlighting the FlavorPrint service, they expressed the importance (and advantage) of using the FlavorPrint API and insight analytics to benefit manufacturers. 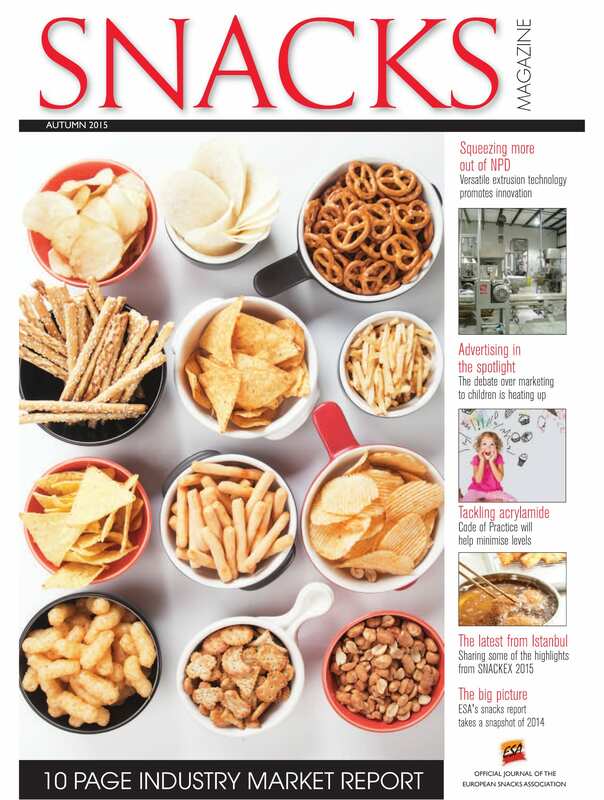 See the whole article online in Snacks Magazine on page 24! Thank you Snack Magazine for featuring us!